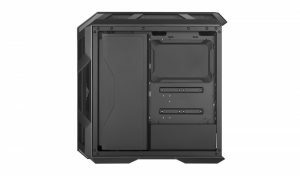 Cooler Master is expanding its MasterCase series today with the launch of the H500M. 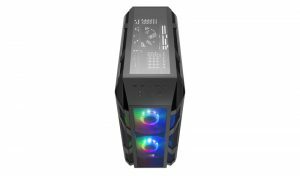 The latest midtower continues to emphasise user choice, with different accessories in the box, and makes the jump to tempered glass, RGB fans and swappable front panels. 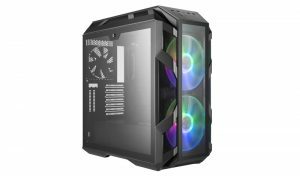 This is the flagship for Cooler Master’s H-series of cases. In the box, buyers get both a front mesh panel and a glass panel, offering the choice between higher airflow, or a sleeker look. You will also find tempered glass panels at both sides of the case, in addition to the roof. To compliment your build, both 200mm front case fans are RGB, with colour and effects controllable via the front panel, which also sports a USB 3.1 Type-C port and four USB 3.0 ports. The H500M comes with a PSU cover with removable pieces, so you can choose to completely hide the ‘basement’ of your case, or show off your power supply while still hiding cables, or take the whole thing out entirely. There is also an adjustable graphics card support arm, which can be used to stop your GPU from sagging and relieve some of the weight being placed on the motherboard. Finally, the H500M comes with support for plenty of custom water cooling options. You can fit a 360mm radiator in the front, and in the roof, alongside additional 200mm fans. In terms of ventilation, there are mesh vents for airflow wrapping around the side panel and the front panel. We will have our own review of this case up in the near future. 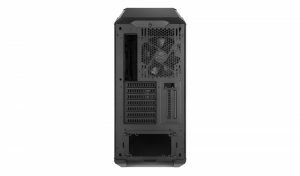 The MasterCase H500M will be launching here in the UK in mid-July with a £199.99 price tag. 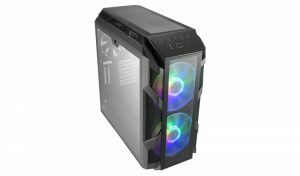 KitGuru Says: The H500M looks like quite a nice case, but I’ll be looking forward to seeing what Leo thinks once his review is ready. 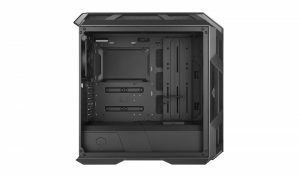 Are any of you currently planning a new PC build? What do you think of the H500M so far?